Canine Companions for Independence needs volunteers and donations to help their non-profit. 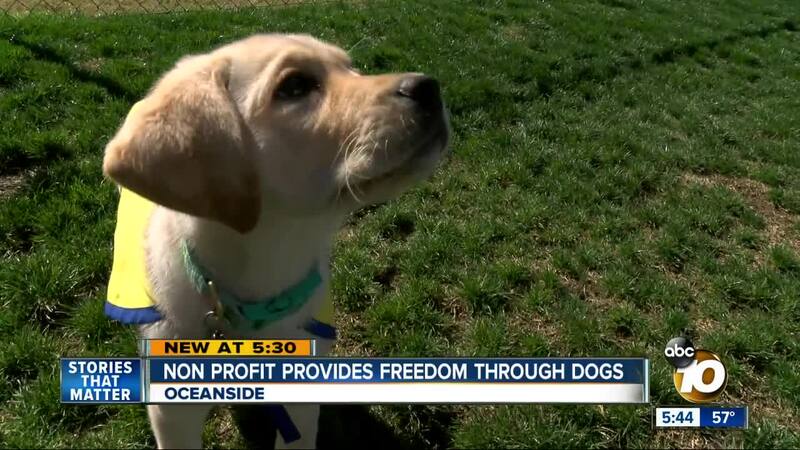 OCEANSIDE, Calif. (KGTV) - The non-profit Canine Companions for Independence is looking for volunteers to help at events, raise puppies, or simply donate so they can fulfill their mission of giving a dog a job and providing independence for their community members. The dogs are trained by volunteers for the first two years of their life, then they go to training at the non-profit's Oceanside campus for 6 to 9 months. Then, it's graduation day. "I see it every day and it really is a miracle, these people really get enhanced independence and you can see them light up and their worlds change when these dogs come into their lives," said Stacy Haynes, Public Relations with Canine Companions for Independence. You can donate a Valentine's gift in your loved one's name here.